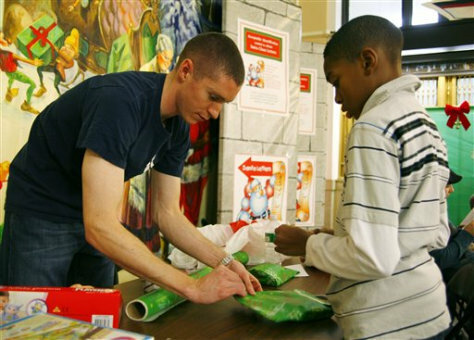 Brian Pavlok, 25, left, wraps Christmas gifts with Tristin Ellis, 11, as part of the U.S. Postal Service's Operation Santa program at a post office in New York on Saturday. The program resumed on Saturday morning after a three-day suspension.